Lot 180. 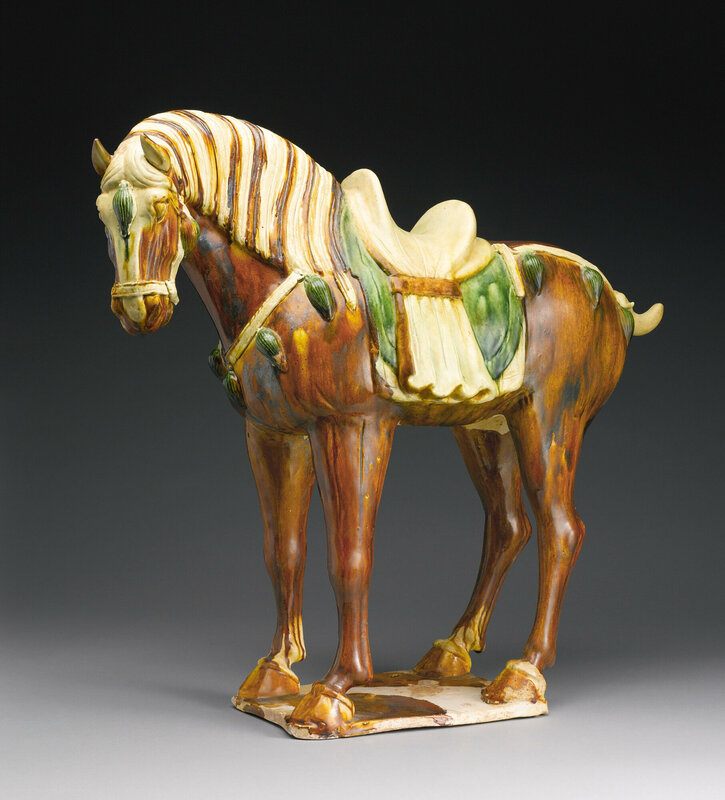 A sancai-glazed pottery figure of a horse, Tang dynasty (618-907). Height 21 in., 53.3 cm. 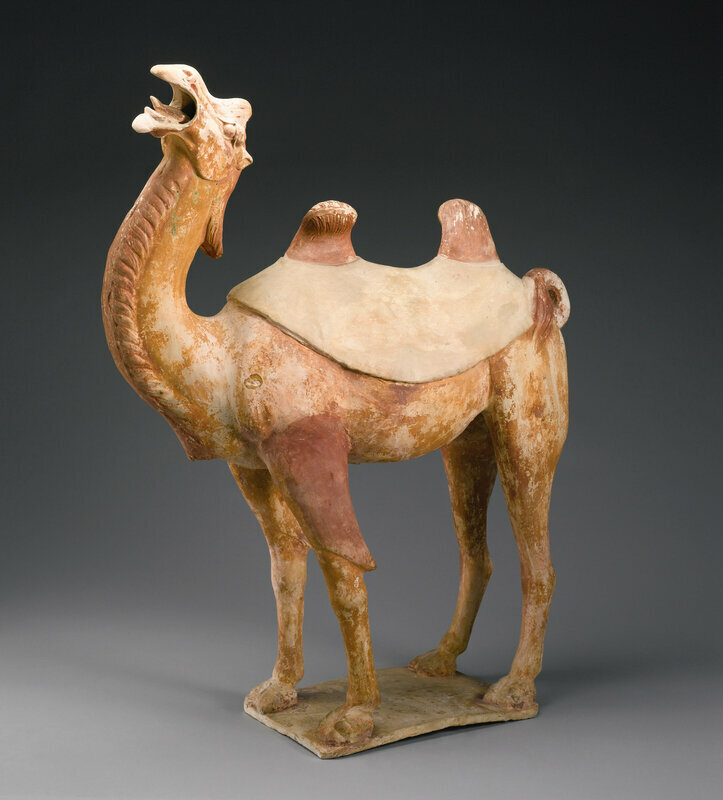 Estimate 20,000 — 30,000 USD. 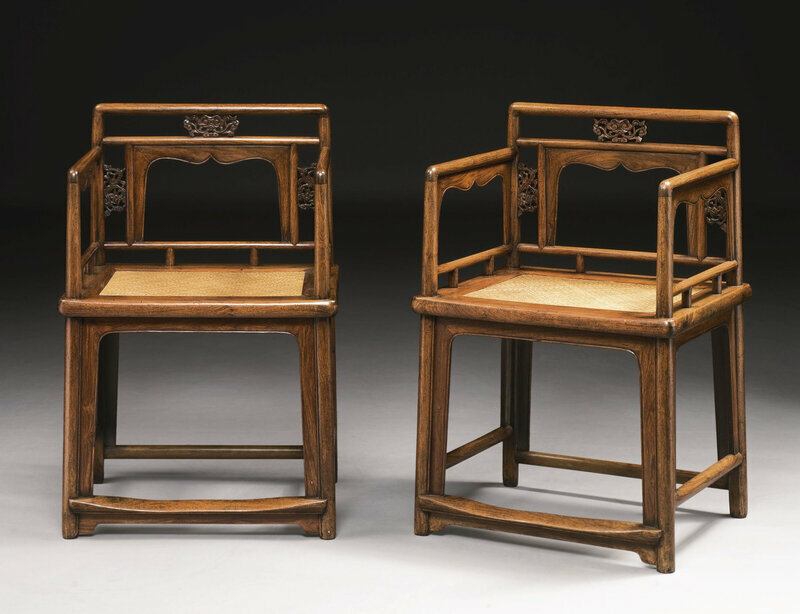 Lot sold 43,750 USD. 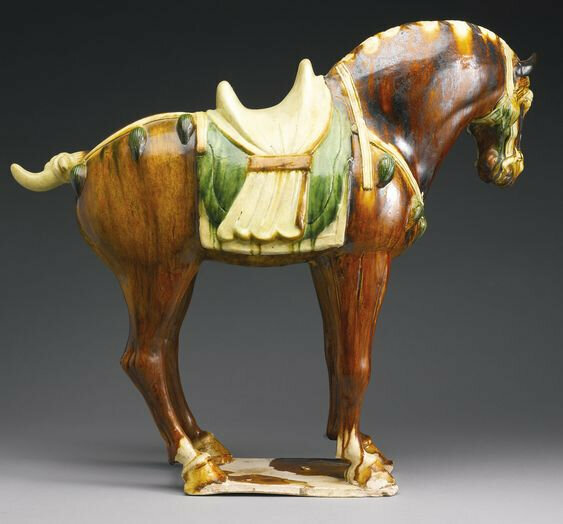 Courtesy Sotheby's 2014.
well-modeled, standing foursquare on a flat base, the head slightly lowered and turned leftward with crisply modeled features including large round eyes, open mouth and flared nostrils, the mane of neatly grooved strands of alternating cream and amber glaze, the body, amber-glazed, ornamented with tassel-hung harness and a cream, green and amber-glazed saddle. Provenance: Acquired in Montreal, 5th September 1980.